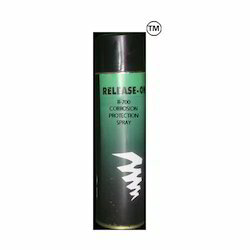 Prominent & Leading Wholesale Supplier from Bengaluru, we offer belt dressing spray, release spray, corrosion protection spray, multiaction spray and rat spray guard. Spray on the exterior and Interior side of the rubber beading on either side of the glass and on the corners of the rubber beading. Very effective for cars with ABS Facility. Ensures smooth movement of the glasses, reducing wear and tear. 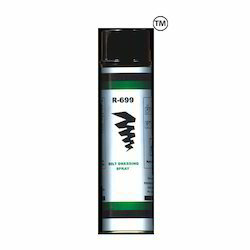 APPLICATION :- R 700 Corrosion Protection Spray (550 Ml) Release On is as unique product for protecting fine and machined surfaces. This can protect surfaces for a minimum period of 24 months during storage and transport. Product does not affect rubber and plastic. METHOD OF APPLICATION : Shake well before use. The surface to be sprayed should be cleaned, degreased and dried thoroughly. 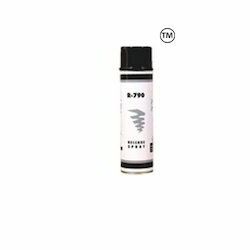 Spray it from a distance of 6 to 7 inches to obtain uniform coating. Increase the number of passes depending on the thickness required. Rat Spray guard Premium is a unique formulation designed to drive away the rats from your car engine compartment. It can also be used to keep the rats away from other important electronic items, small components & documents stored. Once Applied Rat Guard Premium offers protection to the engine compartment up to 6 months. Shake Vigorously Well Before Use. Open The Car Engine Compartment & Spray Liberally From A Distance of 15-20 Cms. after Rat Guard treatment as it may reduce the effectiveness.